Today was yet another day with lots of bread clearance, and I bought a whole grocery bag full. It looks like we'll have burgers for dinner this week. Take a look at some of the great bread clearance prices I found at our local North Florida ALDI store. 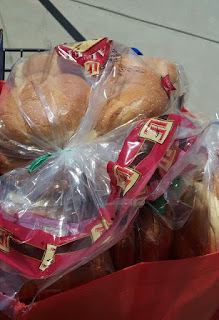 Do you ever find bread clearance at your local ALDI store?